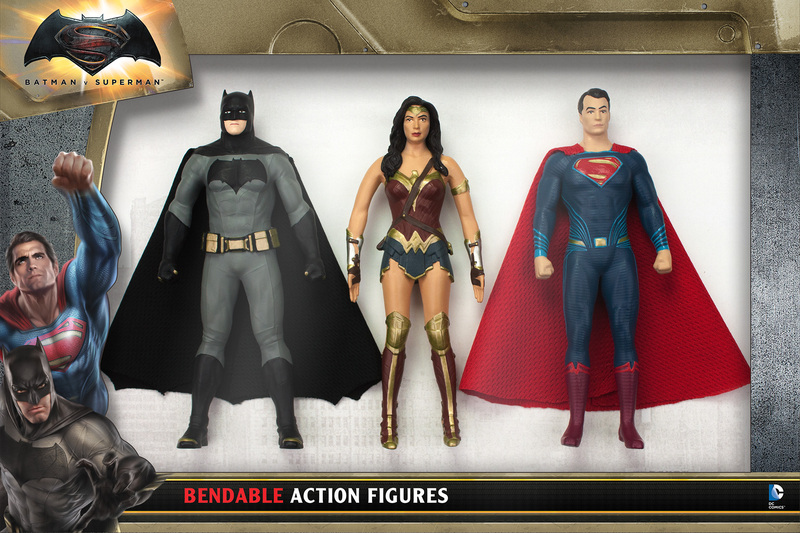 A couple of weeks ago, we brought you an inside glimpse at NJ Croce’s new Batman-Superman-Wonder Woman three-pack of bendables from Dawn of Justice. We had prototype renderings to show at the time. Now, we can show you actual figure pix (plus what the packaging will look like). Hey, check out the detail on Batman’s gloves and boots. Little gold/brass highlights. Tres fashionable, Mr. Wayne. I dig bendables, man. Dig ’em. This’ll run you about $30 or so, depending on where you get it. Worth it.